The Hungarian Reformed Church Aid (HRCA) continues to foster cooperation with the churches in the Middle East by resuming the donation campaign inviting Hungarian Reformed Church (HRC) congregations to dedicate an offering to the community and humanitarian programs of the Reformed communities in the region, with special focus on Syria. Partners include the Fellowship of Evangelical Churches in the Middle East (FMEEC), the National Evangelical Synod in Syria and Lebanon (NESSL), and the Union of Armenian Evangelical Churches in the Near East (UAECNE). Since the beginning of the conflicts in Syria in 2011, millions of people have fled their country in search of refuge from the war. Families have been torn apart and lives have been lost. The war has led to six million internally displaced people, five million refugees, more than 500 thousand victims, and thousands of casualties. More than 80% of families in Syria are left poverty-stricken. The prolonged crisis and tough sanctions have also had a disastrous impact on the economy in Syria, resulting in an economic environment defined by high prices for basic commodities, shortages in basic necessities, dysfunctional markets, low wages, unsafe and unsustainable access to livelihoods, and ultimately, high rates of unemployment and increased levels of poverty. 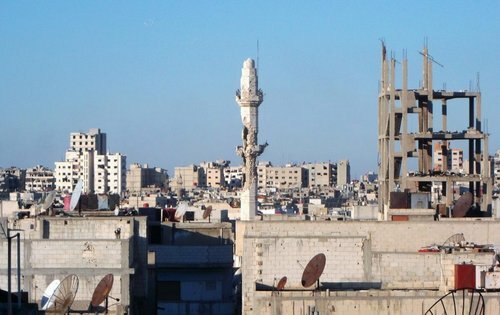 In response to the needs of the people, the Reformed churches in Syria have started various programs to foster community and provide humanitarian assistance. The Sunday school project is a community project serving twelve Evangelical churches, led by local pastors and young volunteers from both UAECNE and NESSL. 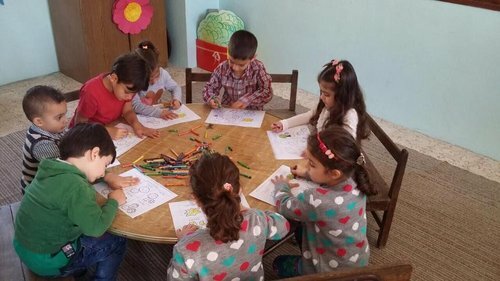 It aims to foster and enhance the presence of Christians during the war times, and support children, mainly between the ages of three and 14, and provide a safe environment for them to learn and grow. The churches that take part in the project are centers promoting peace and love to and for children from diverse backgrounds, and have become beacons of hope to the people in their communities. The Sunday school project continues to reach out to the increasing number of children in need. In 2016, the project touched 1205 children and 126 volunteers, but in 2018, the numbers grew to 1585 children and 167 volunteers. The project provides activities for about 1560 children weekly for 2-4 hours with the help of approximately 200 teachers and 166 volunteer leaders. The project reaches children from various backgrounds, 65% of whom are from non-Evangelical families. With the creation of de-escalation and demilitarization zones, the security has improved in most parts of Syria, and families have started to make the journey back to their homes. However, this movement has shed light to a new challenge: the needs of the people returning home. The humanitarian relief programs of the Reformed churches in Syria support local congregations to supply people with their needs. The main sectors for aid include schooling, fuel, food, medication, rent, psycho-social and spiritual support, water and hygiene. In addition to monetary aid, food kits and vouchers are provided, and special programs, sessions, conferences, and meetings are offered to comfort and strengthen those who have been affected by the war. 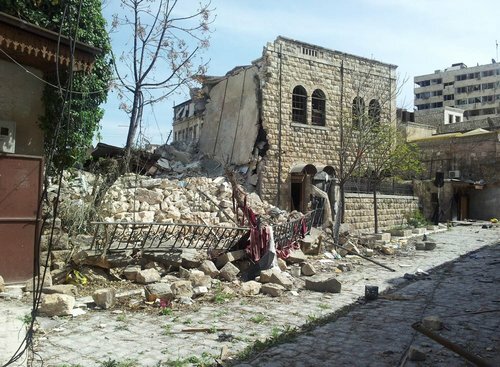 RCH continues to foster the growing partnership with the churches in Lebanon and Syria. In addition to the projects mentioned, the RCH, with HEKS, continues to support of the schools run by NESSL and UAECNE, through the Scholarship for Church-Schools project. Educational institutions serve as an important part of the identity of the church institutions and of the future of Syria in promoting love, inclusivity, and mutual understanding. However, due to the war, school fees are becoming harder for parents to pay, causing the church-schools to be put into difficult financial situations. The Scholarship project provides relief to the parents, allowing them to continue to send their children to the schools, and saving the schools from shutting down. Conversations for future opportunities include the upcoming visit of RCH senior church leaders to Syria in March 2019.